Rupa is a dynamic nonprofit executive with proven results in leading both 501(c)(3) and 501(c)(6) organizations for more than 16 years. Dedicated to advancing associations and their foundations, she has worked for both associations and foundations throughout her career. She joined FAER more than two years as a change-maker. 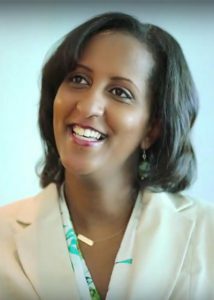 She was integral in the development of FAER’s new strategic plan and its mission as well as moving the Board from an operational to a strategic level. Under her leadership, all programming is now mission-aligned and fundraising goals were exceeded by $140,000 in 2018. FAER now operates on a $5 million budget and has expanded opportunities for medical students, residents and early-career investigators in anesthesia. Since 2015, Ben Connors has served as the President of GBCA, leading the Association’s advocacy and labor relations efforts for member companies while overseeing its Safety, Educational, Marketing and Membership activities. Ben represents the GBCA as a trustee on the Carpenters Benefit Funds of Philadelphia and Vicinity, the Carpenters Apprenticeship Committee, the Laborers’ District Council Pension, Health and Welfare Funds, the Laborers District Council Training and Apprenticeship Funds, the Cement Masons Local 592 Pension, Health and Welfare Funds, the Cement Masons Local 592 Apprenticeship Fund and the International Union of Operating Engineers of Eastern Pennsylvania & Delaware Pension and Benefit Funds. 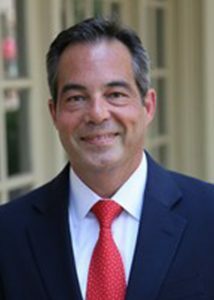 Prior to joining GBCA in 2014 as the Director of Government Relations, Ben served as an Advisor and Finance Director to Congressman Robert E. Andrews, where he managed Congressional involvement on all large commercial, industrial, institutional and transportation projects in the Congressional District. Ben received a Bachelor of Arts Degree from Rutgers University where he majored in both Political Science and Labor Studies. 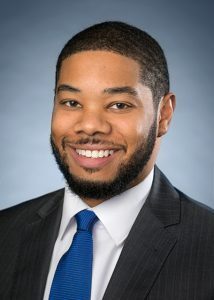 In 2009, he received a Juris Doctorate from Rutgers Camden School of Law, where he was elected to serve as the Student Bar Association President. Ben graduated with a focus in Labor and Employment Law. He is licensed to practice law in Pennsylvania and New Jersey. Lindsay Currie leads the development of community and engagement of members, customers, chapters, and volunteers at the Regulatory Affairs Professionals Society. For more than the last decade she has been working with associations to build communities and develop communication strategies to reach members where they are. 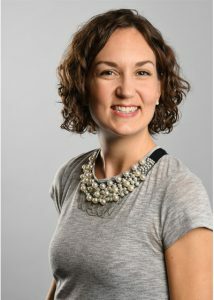 Lindsay is an active volunteer in the association community and is currently the immediate past chair of the ASAE Communications Section Council and brings the association perspective to the Higher Logic Product Advisory Committee. 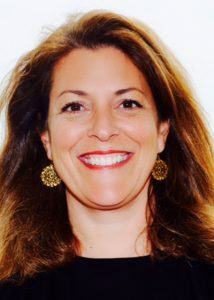 Claire Mysko is the chief executive officer of the National Eating Disorders Association (NEDA) and an internationally recognized expert on eating disorders, body image and media literacy. She is the author of Does This Pregnancy Make Me Look Fat? The Essential Guide to Loving Your Body Before and After Baby and You’re Amazing! A No-Pressure Guide to Being Your Best Self, an award-winning self-esteem manual for girls. Under her leadership, NEDA has seen a rapid expansion, including a merger with the Binge Eating Disorder Association; national dissemination of The Body Project, an evidence-based body confidence program; implementation of an online screening tool that was completed by more 200,000 people in 2018; and corporate partnerships with companies including Aerie, Facebook, Instagram, and Pinterest. Brandie Thacker is a graduate of the E.W. Scripps School of Journalism at Ohio University. 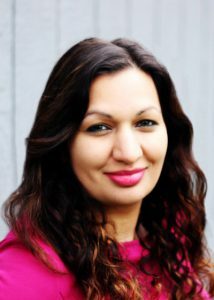 She is the Vice President of Communications and Member Support for EPCOR, a trade association focusing on the rules, regulations and intricacies of electronic payments. Brandie began her career with EPCOR in 2009 as a trainer for the association’s predecessor organization, Payments Central. 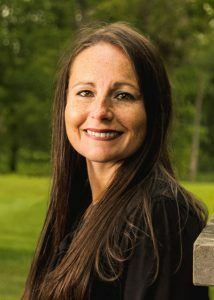 Brandie now oversees all strategic planning, execution and analysis of the association’s communications and marketing efforts, including all print, online, electronic and video production. She is also responsible for developing and implementing all member recruitment, retention and engagement strategies. As an officer of the association, Brandie helps to ensure all initiatives are in concert with and support the organization’s mission. Tadu Yimam joined the National Association of College and University Business Officers (NACUBO) in 2007. As the senior director of online learning, and publications, Tadu leads NACUBO’s distance learning, mobile application, and publications efforts. She is charged with curating and developing content into online programs such as webcasts, virtual conferences, microlearning programs, e-books, and podcasts. 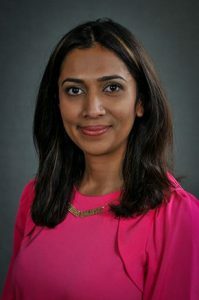 Prior to joining NACUBO she began her career in communications and was the manager of public relations for The Endocrine Society. 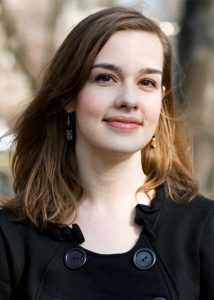 She attended the University of Maryland, Robert H. Smith School of Business, and has a certificate in professional writing from Georgetown University. Follow her on twitter @TaduYimam. Lance brings a broad range of experience in the technical and government regulatory aspects of development to GBCA. As Director of Industry Relations, Lance serves as a resource to GBCA membership on matters of politics, labor and association relations. Lance earned a Bachelor of Architecture degree from Carnegie Mellon University in addition to completing graduate coursework in the areas of Urban Design and Public Policy. Prior to joining GBCA, Lance worked in various roles with the City of Harrisburg, PA in both the Executive and Legislative Branches of Government spanning two Administrations. Lance worked closely with he local development community in his role within the Bureau of Planning and with elected officials in the office of City Clerk and City Council. Originally from the Philadelphia area, Lance enjoys volunteering with local non-profits, rooting for Philadelphia sports teams and vacationing with his family. Mary Kate Cunningham, CAE serves as Vice President of Public Policy at ASAE. In this role she oversees ASAE’s advocacy efforts on behalf of 42,000 association professional and industry partner members on state and federal policy issues. Prior to this role, she worked for the House Armed Services Committee. She serves as a member of the Tax Coalition and the Truman National Security Project. Cunningham earned the Certified Association Executive (CAE) designation from ASAE in July of 2017. Originally from Arizona, Cunningham graduated with her Masters in Strategic Security Studies from the National Defense University. She received her Bachelor’s degree from The Catholic University of America where she studied Political Science. Shane Downey is Vice President of Government Relations at The Global Business Travel Association, the voice of the $1.4 trillion business travel industry. GBTA is the world’s largest organization representing this sector and counts among its members more than 9,000 business travel professionals across six different continents.In addition to serving as the association’s lead lobbyist in Washington, D.C. Shane oversees a countrywide grassroots campaign and the Business Travel PAC. He also leads GBTA’s efforts with EU official in Brussels. Shane has worked at GBTA for 10 years and he has achieved many legislative successes and worked to raise the profile of GBTA on the Hill and abroad. Prior to joining GBTA, Shane was a Senior Associate at a lobbying firm in Washington, D.C., and before that Shane worked on several Congressional Campaigns. Shane received his B.A in History from The Ohio State University. Shane also served in the United States Marine Corp and is a Desert Storm veteran. Joshua Habursky is a nationally recognized grassroots and advocacy communications leader. Habursky is the Assistant Vice President of Advocacy at the Independent Community Bankers of America where he manages advocacy communications programs and community bank grassroots initiatives. Prior to joining ICBA in 2016, Joshua managed grassroots programs at the American Diabetes Association and the American Motorcyclist Association. Josh is also the Founder/Chairman of the Grassroots Professional Network, which is a non-profit organization of 25,000 advocacy professionals dedicated to advancing grassroots best practices and thought leadership. Habursky is also an Adjunct Professor at George Washington University’s Graduate School of Political Management and frequently speaks and writes about advocacy communications in a variety of different forums. Habursky is also the Contributing Editor of Campaigns & Elections and has been awarded many professional accolades for his work in grassroots advocacy, campaigns, and association thought leadership. Josh received his Bachelor of Arts in Political Science from Washington & Jefferson College, a Master of Arts in American Government from Georgetown University, and a Certificate in Business and Political Economy from the London School of Economics. Named as one of The Hill newspaper’s “top lobbyists” of 2018, Heather O’Beirne Kelly is the American Psychological Association’s first-ever Director of Military and Veterans Health Policy. 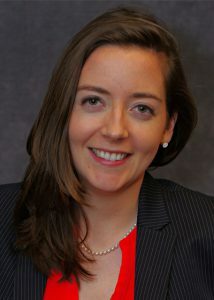 Since 1998, Dr. Kelly has served as a senior lobbyist in APA’s Government Relations Office, advocating for behavioral science on Capitol Hill and in federal agencies and directing APA’s Executive Branch Science Policy Fellowship Program. Her new, broader portfolio as Director also includes advocating for the mental health and wellbeing of military personnel, veterans, their families, caregivers, and communities, and supporting the psychologists who serve those who’ve served. Dr. Kelly sits on the Executive Committee of the Friends of VA Medical Care and Health Research Coalition, the PsychArmor Healthcare Advisory Committee, the board of directors of the Armed Services Arts Partnership, and the Elizabeth Dole Foundation Campaign for Inclusive Care Advisory Board; represents APA on the VA Office of Mental Health Services Stakeholders Group; has testified before Congress regarding funding for VA research and mental health services; and has coordinated numerous Capitol Hill briefings on topics of interest to military and veteran populations, including suicide prevention, PTSD, traumatic brain injury, private sector mental healthcare, and women veterans’ health research. Recent awards include the Patrick DeLeon Advocacy Award from the Association of VA Psychologist Leaders, the inaugural Athena Award for wisdom, courage, and advocacy on behalf of veterans, and the Outstanding National Contribution Award from the American Society for the Advancement of Pharmacotherapy. Dr. Kelly received her BA from Smith College and her PhD from the University of Virginia. 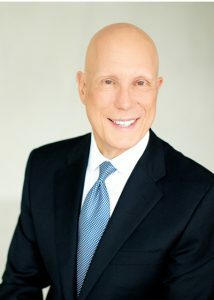 Sean Murphy is the Vice President, Advocacy and General Counsel, for the American Association of Orthodontists (AAO). 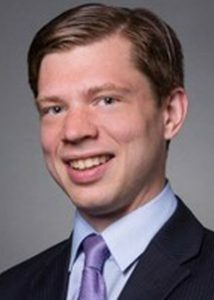 Sean joined the AAO in 2016, and his responsibilities include overseeing the AAO’s Component Legal Support Fund that assists state and provincial orthodontic groups with their legislative and legal issues, serving as the treasurer for the AAO’s Political Action Committee (AAOPAC), and helping oversee the AAO’s legal and federal issues. Sean has presented legal courses to both AAO residents and orthodontists throughout North America. Sean also contributes to several AAO publications, including the AAO’s print bulletin, e-bulletin, and podcasts. As part of his responsibilities, Sean manages the AAO’s legal department that monitors legislative and regulatory developments in all 50 states as it concerns orthodontics, oversees advocacy efforts for orthodontists in over 20 states regarding issues ranging from dental specialty laws to insurance coverage, and formulates and presents written and oral testimony to numerous state dental boards about orthodontic issues. Sean received his bachelors degree from Augustana College (Rock Island, IL) with a triple major in Biology, Public Administration and Political Science, and his law degree and health law certificate from Saint Louis University School of Law, which is frequently ranked as the top health law program in the country. Prior to joining the AAO, Sean was a business litigator for seven years at a national law firm, Thompson Coburn LLP (with offices in St. Louis, Chicago, DC, and LA), where he represented national and international companies in countless disputes. 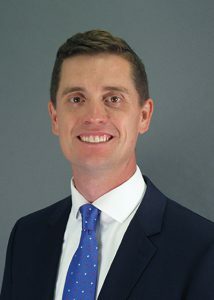 As a litigator, Sean was selected to the 2014 and 2015 Missouri & Kansas Super Lawyers’ Rising Stars Lists and was selected to the 2012 Missouri Bar Pro Bono Hall of Fame. 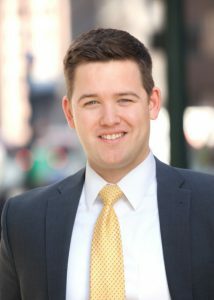 Sean is licensed to practice law in Missouri and Illinois. 2010 – VAdm Norbert R. Ryan, USN-Ret.